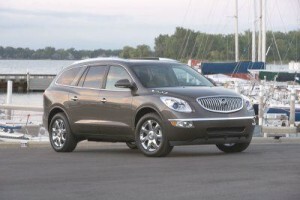 Consumers looking to find the best SUV deals, lease and purchase, December 2011 have some good news in store. There are numerous offers available on many of the most popular SUVs and crossovers on the market. You’ll have to act fast, though, since most of these lease and purchase deals expire in early January 2012.
available with a purchase deal good for $1,500 cash back OR 1.9 percent financing for 60 months. Offer expires January 2, 2012. 2012 Volkswagen Tiguan – Good through January 3, 2012, Volkswagen is offering a purchase deal on the 2012 Tiguan of zero-percent percent financing for 60 months. $619 per month for 36 months with $0 due at signing on the Touareg V6 Sport with navigation and automatic transmission (excludes TDI and hybrid models). Or lease a 2012 Volkswagen Touareg TDI Sport with navigation and automatic transmission for $699 per month for $0 due at signing. Both Touareg lease deals expire January 3, 2012. 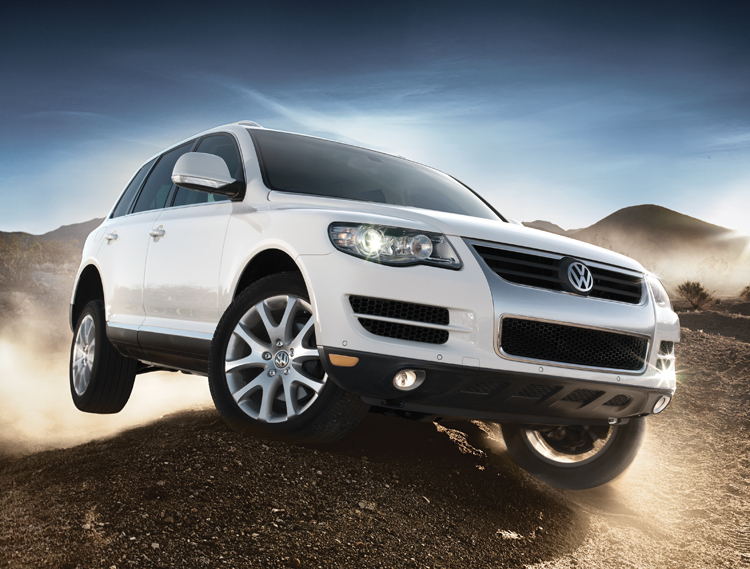 On the purchase deal side, VW is offering zero-percent financing for 60 months on the 2012 Touareg, expiring January 3, 2012. 2012 GMC Terrain – Good through January 2, 2012, GMC is offering a purchase deal on the 2012 Terrain of 2.9 percent financing for 36 months. 2011 GMC Yukon, Yukon Hybrid – GMC lists them separately, but the deal is the same on both the 2011 GMC Yukon and 2011 GMC Yukon Hybrid. Through January 2, 2012, purchase the 2011 GMC Yukon (including XL) and get either $3,500 cash back or finance at zero percent for 72 months. On the 2011 GMC Yukon Hybrid, the same offer applies: zero-percent financing for 72 months or $3,500 cash back. 2011 Chevrolet Tahoe, Tahoe Hybrid – Prefer a Chevy instead of a GMC? The bow-tie division is offering the 2011 Chevrolet Tahoe and Tahoe Hybrid for the same purchase deals as its sister division. This means consumers can purchase the 2011 Chevy Tahoe and get zero-percent financing for 72 months or take home $3,500 cash back. The same deal applies to the 2011 Chevrolet Tahoe Hybrid. Purchase deals on both Tahoe and Tahoe Hybrid expire January 2, 2012. 2012 Kia Sorento – While Kia deals for December aren’t as good as they were before, consumers can still purchase the 2012 Kia Sorento SUV and get 1.9 percent financing for 36 months plus $1,000 bonus cash. If leasing is what you prefer, the lease deal on the Sorento LX 2.4L with automatic transmission is for $239 a month for 36 months with $2,999 due at signing. Both lease and purchase deals on the 2012 Sorento expire January 3, 2012. 2012 Kia Sportage – Kia is offering 1.9 percent financing for 36 months on the purchase of a 2012 Sportage crossover. The lease deal is for $229 per month for 39 months with $2,699 due at signing and applies to Sportage LX 2.4L with automatic transmission. 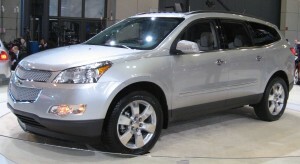 Both Sportage deals (purchase and lease) expire January 3, 2012. 2011 Mazda CX-7 – Mazda is offering a purchase deal on the 2011 Mazda CX-7 crossover SUV with zero-percent financing for 60 months plus $500 customer cash and no payments due for 90 days. This purchase deal is available in the Northeast, Southeast, Gulf States, Midwest and West areas and expires January 3, 2012. The 2012 Ford Edge, meanwhile, has three purchase deals: $1,000 cash back on all models in the Northeast, Northwest and Southeast and Edge Sport, LTD and SE FWD models in the Southwest; $1,500 cash back on Edge SE, SEL, Sport and LTD models in the West, and $2,000 cash back on Edge SEL models in the Southwest. These deals on the 2011 and 2012 Ford Edge expire January 1, 2012.